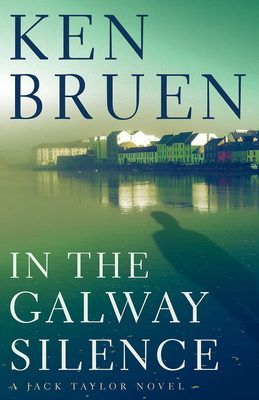 Ken Bruen has been called "hard to resist, with his aching Irish heart, silvery tongue, and bleak noir sensibility" (New York Times Book Review). His prose is as characteristically sharp as his outlook in the latest Jack Taylor novel, In the Galway Silence. After much tragedy and violence, Jack Taylor has at long last landed at contentment. Of course, he still knocks back too much Jameson and dabbles in uppers, but he has a new woman in his life, a freshly bought apartment, and little sign of trouble on the horizon. Once again, trouble comes to him, this time in the form of a wealthy Frenchman who wants Jack to investigate the double-murder of his twin sons. Jack is meanwhile roped into looking after his girlfriend's nine-year-old son, and is in for a shock with the appearance of a character out of his past. The plot is one big chess game and all of the pieces seem to be moving at the behest of one dangerously mysterious player: a vigilante called "Silence," because he's the last thing his victims will ever hear. This is Ken Bruen at his most darkly humorous, his most lovably bleak, as he shows us the meaning behind a proverb of his own design--"the Irish can abide almost anything save silence.